Ruth Tringham grew up in the small town of Bedfordshire, located in the eastern part of England. She was born on October 14, 1940 and had four siblings, in which she was smack dab in the middle. She had two older brothers and a younger brother and sister, many years younger than her. When Ruth was 5, her family moved to London and, for elementary and middle school, Ruth attended a primary school. When contemplating where to go to high school, Ruth was awarded a scholarship to an all-girls private school part of the Girls Public Day School Trust. Here Ruth developed a strong desire for success in her academics. She learned the languages of Latin and Greek, as well as participated and exceled in sports. Her adventurous spirit can be seen in the kinds of sports she chose to partake in. Ruth stayed active in fencing, hiking, skiing, and running, as well as others. To be closer to the school, her family moved to Hampstead, a wealthier part of London known for its liberal, artistic, musical, literary, and intellectual influences. Ruth’s high school itself was part of this liberal movement as well. Her school was part of a group of independent schools aimed to provide affordable education for young women. It was formed by two sisters, Maria Grey and Emily Shirreff, and had the goal of giving girls the same educational opportunities as boys. Ruth also dived into the world of music at quite an early age. She started playing the violin at age 9 and continued through her teenage years. She had some experience in folk-singing as well. In college, Ruth took up guitar and she is currently second alto for the San Francisco Symphony Chorus. Another early event that would lead to Ruth’s eventual profession as an archaeologist was her participation in clubs at the Natural History Museum in London. She participated in various activities and learned how to conduct research projects. At a young age, this primed Ruth for her future career. As a young child, Ruth would dig around in the dirt in her back yard, and anywhere really, looking for “treasures.” She contributed to her first real evacuation at 13 through the Natural History Club. At 16, a time where teenagers are usually concerned about getting their driver’s license or planning for the next high school dance, Ruth decided that she wanted to become an archaeologist. For college, Ruth attended the University of Edinburgh in Scotland, one of the United Kingdom’s top rated research universities. She specifically chose this school because it was far from home, further evidence of Ruth’s adventurous personality and passion for the unknown. She spent both her undergraduate and graduate career at this university and graduated with a degree in archaeology. Eastern European archaeology captured Ruth’s interest, and she wrote her thesis on Neolithic clay figurines and her dissertation dwelled on this topic as well. In 1966, Ruth received her Ph.D. In 1971, Ruth published her first book, Hunters, Fishers, and Farmers. The summer after her freshman year Ruth went to an Iron Age excavation in Denmark and then to a survey in Norway on the Pasvik River. At this time, Ruth was leaning toward a career focused in Scandanavian archaeology. But junior year was a turn around for Ruth. She decided to go to Czechoslovakia for an excavation at the Neolithic site of Bylany. Here she was exposed to Eastern European archaeology and solidified her decision to devote her life to studies in this area. The Neolithic Period that captured Ruth’s interest was a time known for stone tools, domesticated animals and plants, and the use of pottery and weaving. As a feminist in her daily life, Ruth also applied her feminist ideals to her work. She approached archaeology with a feminist perspective especially when looking at past households and a women’s role within society. Feminist archaeology interprets past societies with a focus on gender and sexuality. It is crucial that we have archaeologists out there who are willing to take different perspectives such as these. If everyone thought or interpreted information in the same way, we would have a very limited scope and understanding of the past. 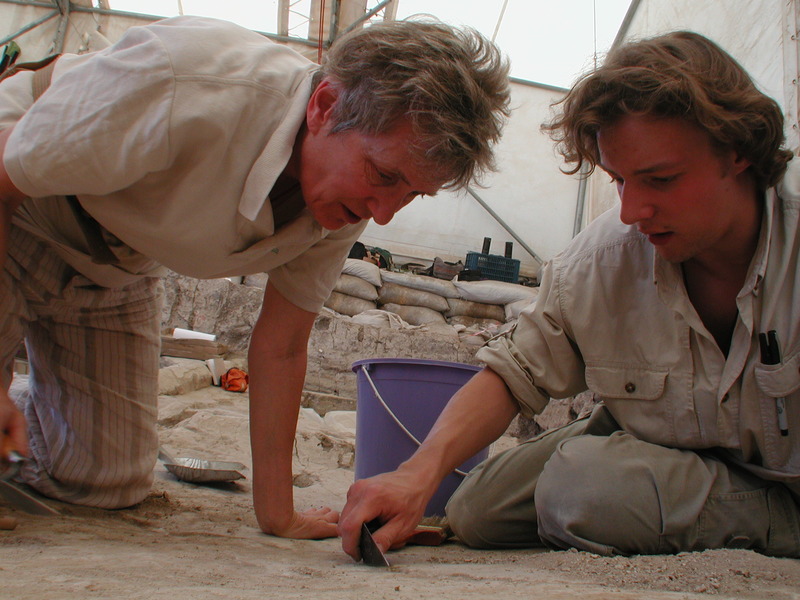 Ruth has worked hard to bring respect to women in the field of archaeology. In the past, there have been many times where women’s opinions and perspectives in archaeology have been discounted, purely for the fact that they are female. Ruth has fought against this stigma and fostered positive relations in this area. Ruth journeyed across the seas and came to United States to work at Harvard in 1971. She stayed at the university for seven years but left because they did not give her tenure there. Immediately after, Ruth moved to the University of California at Berkley and has stayed there ever since. 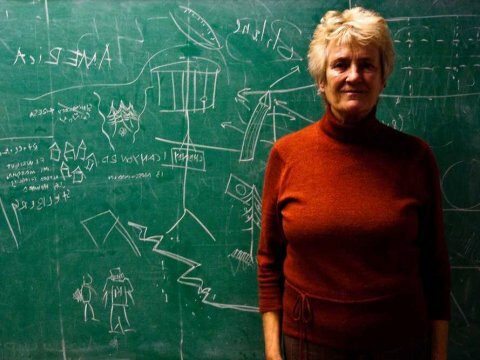 As of 2011, Ruth is retired from actively teaching but is still an anthropology professor at University of California, Berkeley. 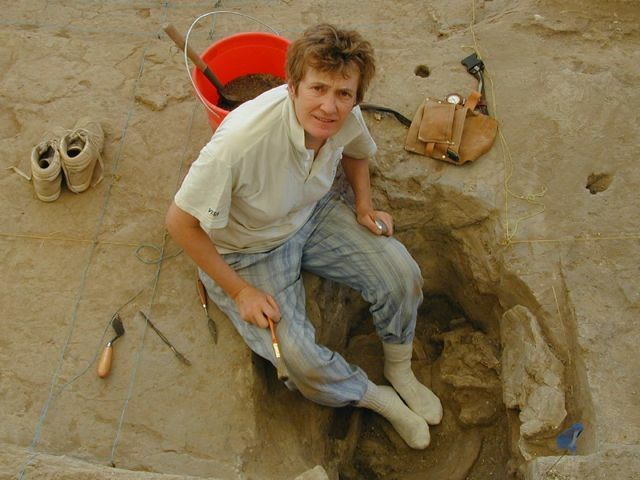 Ruth played a huge part in the excavation and study of the archaeological site Catalhoyuk, Turkey. The project itself was called BACH (or Berkeley Archaeologists at Catalhoyuk). As one of the most important archaeological sites in the world, this Neolithic settlement dates back 9000 years. Only 2 mounds remain visible above ground, but underneath is hidden one of the most complicated societies ever found. Studying these past peoples and the way they lived is crucial to gaining a deeper understanding of the human race. It has been under investigation for 50 years. Ruth worked at this site in the summers of 1997-2005. The focus of this site was a Neolithic settlement mound. There was specific interest in the buildings and the lives of the people who lived. Ruth co-authored with Mirjana Stevanic to write a book on their results, called Last House on the Hill: BACH Area Reports from Catalhoyuk, Turkey. Ruth was also involved in the archaeological project in Selevac, Serbia for 2 years from 1976 to 1978. The focus of this study was Neolithic cultures and its objectives were to investigate the cultural evolution of cultures, socioeconomic transformation, and different kinds of settlement patterns. She wrote the book Selevac: A Neolithic Village in Yugoslavia, describing the discoveries of this excavation. Ruth was also heavily involved in the Opovo Project, an archaeological site located in Serbia. This study focused on the socioeconomic change in the Balkan Neolithic. Ruth found particular interest in the development of the household as the most important social unit within a culture. Ruth’s feminist perspective came in particular help with this project. She worked at this site for six years, from 1983 to 1989. Ruth is president and creative director of CoDA. This nonprofit organization connects anthropology and archaeology with digital technology. They work with libraries and museums to take care of and maintain the condition of cultural content, preserving heritage. They help institutions share their digital heritage online in a safe, easily accessible space. To help conserve resources such as paper as well as save time and money, CoDA teaches archaeologists how to use the online database called Codifi. In an excavation and survey, the data that usually gets placed on paper is transferred to this digital space. In our day and age, where everything is going electronic, it is crucial that archaeology does not fall behind in times. CoDA is there to help with the advancement of archaeology. Ruth is known internationally as a leader of digital education for archaeology. Her passion for digitalization stems from her love for and background in music. At Berkeley, Ruth helped found the Multimedia Authoring Center for the Teaching of Anthropology (MACTiA). This wonderful resource for students is a laboratory that assists teams in their digital multimedia projects. Overall, Ruth has contributed greatly to the profession of archaeology, specifically the study of Neolithic Europe. She has helped lead the movement of digital archaeology, furthering technological improvements to outdated research methods. Ruth is also a major influence in the area of gender relations in archaeology, fighting for the equal treatment and respect for women in the profession. "About CA Archaeology." Society for California Archaeology. N.p., n.d. Web. https://scahome.org/about-ca-archaeology/interviews-with-archaeologists/dr-ruth-tringham-2003/. "Çatalhöyük Research Project | Excavations of a Neolithic Anatolian Höyük." Çatalhöyük Research Project | Excavations of a Neolithic Anatolian Höyük. N.p., n.d. Web. http://www.catalhoyuk.com/. "Ruth E. Tringham." Anthropology Department, UC Berkeley. N.p., n.d. Web. 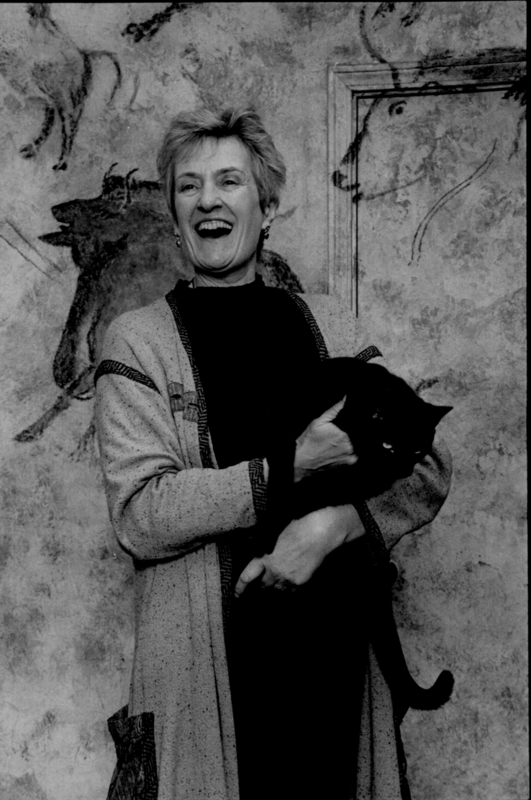 http://anthropology.berkeley.edu/people/ruth-e-tringham. "Ruth Tringham | Ruth Tringham's Personal Website." Ruth Tringham. N.p., n.d. Web. http://ruthtringham.com/. "Ruth Tringham - President at CoDA." Codifiorg. N.p., n.d. Web. https://codifi.org/project/ruth-tringham/. "The Secret Lives of Faculty, Part 2." The Secret Lives of Faculty, Part 2. N.p., n.d. Web. http://www.berkeley.edu/news/media/releases/2004/07/08_hobbies.shtml#tingham. Tringham, Ruth, Bogdan Brukner, and Barbara Voytek. "The Opovo Project: A Study of Socioeconomic Change in the Balkan Neolithic." Journal of Field Archaeology 12.4 (1985): 425. Web.